If you are looking for information on the White Castle franchise business opportunity, White Castle franchises or White Castle franchising, then you have come to the right place. More than 500,000,000 burgers sold last year alone. But when you add it up, the by-the-numbers White Castle math just can't compare to the steam-grilled science of creating that signature Slyder.® Or the consistent history of high quality and great taste that turned fast food into big business and jumpstarted the nation's first hamburger century. (Well, almost a century: meat rationing during World War II forced us to sell hot dogs and eggs.) Or, most of all, the shared secret language of committed Cravers across the country, the words and senses that turn all of you into One of Ours. Still, math is pretty fundamental. 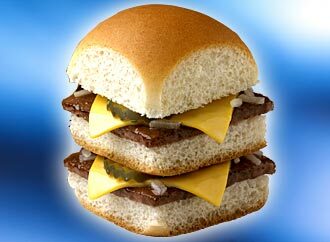 Mostly because, in White Castle mathematics (crunched at our headquarters), the number one keeps popping up. First fast-food hamburger chain ever. First industrial-strength spatula. First mass-produced paper hat. First to sell a million hamburgers. First to sell a billion hamburgers. First frozen fast food for sale. All of which, of course, makes us your number one. Hold your applause for your next burgers.